Book Your 2019 Vacation Now! Thank you for your interest in Williamson Realty Vacations and the Ocean Isle Beach area. 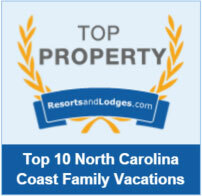 As one of the area's largest Ocean Isle Beach vacation rental agencies, we are able to offer a wide range of rentals. Choose from over 260 Ocean Isle Beach cottages and condos, oceanfront to sound front, for your perfect vacation accommodations. If you have questions, our friendly and knowledgeable staff welcomes the opportunity to assist! Have you ever caught yourself, during a hectic week, daydreaming of a vacation with pristine sand, seashells and sunsets? It's all so vivid that, for a moment, you feel as though you're really there. And now you can with the help of Williamson Realty Vacations. So step away from your office desk, and feel the sand between your toes. Please take the time to browse through all of our Ocean Isle Beach rentals or use the advanced search options for your next vacation accommodations.